Oakland considers new proposals that would require landlords to disclose when they're trying to move out a tenant. Tenant Move Out Agreements: Right now, Oakland does nothing to regulate and track the deals that landlords strike with their tenants to get them to move out. According to City Attorney Barbara Parker, that's a big problem because landlords have major financial incentives to get rid of rent-controlled tenants due to the state Costa Hawkins law. Costa Hawkins allows property owners to reset rents at market rate if a tenant voluntarily vacates an apartment. Parker and others worry that many renters don't understand their rights, and can be pressured or tricked into accepting a move out agreement that's really not in their interests. Tenants have the right to refuse to enter into a move out agreement, and landlords can't retaliate. Tenants may choose to consult with an attorney before signing a move out agreement. Tenants can rescind move out agreements for up to 30 days if a new tenant hasn't already moved into the unit. Descriptions of relocation payments a tenant might be eligible for if they're being asked to move out because their landlords wants to convert their apartment into a condo, carry out an owner move-in eviction, or needs to make code compliance repairs, or, is carrying out an Ellis Act eviction. Landlords would also have to notify Oakland's Rent Adjustment Program anytime they intend to enter into move out agreement negotiations, and if they strike a deal with their tenants, they'd be required to submit a copy of the agreement. This way, Oakland will actually be able to track all of these informal evictions. Parker wrote in a report to the city council that the new rules will "help the city identify bad actors who are attempting to force tenants out of their units under false pretenses." New Parcel Tax for Libraries: Oakland's libraries are in bad shape. Compared to Berkeley and San Francisco, Oakland spends less than half per capita on its libraries, even though it has a higher percentage of low-income residents who need access to books, the internet, and educational programs. Oakland's library branches are only open five days a week, down from six in 2009, and there's been talk of closing some branches. The bookmobile is gone. The adult literacy program was eliminated. 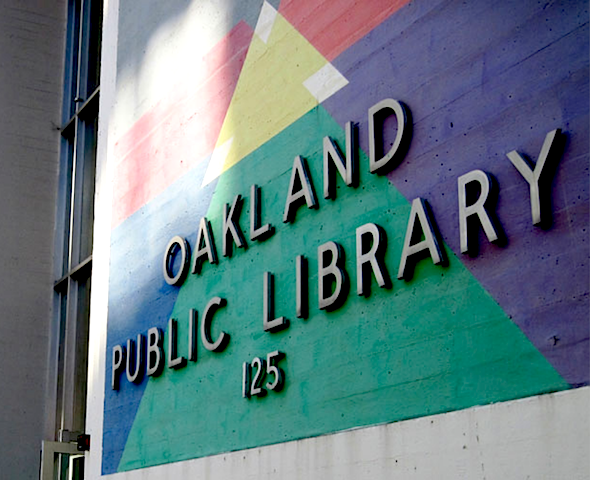 To repair the library system's budget, Oakland's Director of Library Services Gerry Garzon, is asking the city council to consider a new parcel tax of $75 to raise about $10 million annually. If the council approved a parcel tax, it would go on the 2018 June ballot.